Volunteers will prepare planting beds for spring crops. Ines Marines, a longtime farm worker, mentored by United Farmworkers Union leader Cesar Chavez and recently honored as one of the “living legends” of the early UFW movement, is scheduled to speak. Lunch, beverages, and snacks will be provided. 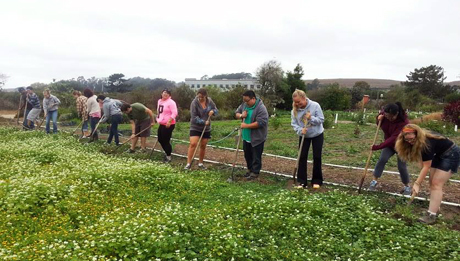 The Homeless Garden Project Natural Bridges Farm is located on Shaffer Road at Delaware Avenue on the west side of Santa Cruz near Natural Bridges State Park. Lunch, beverages, and snacks will be provided.